Jean-Claude Juncker is on a two-day visit to the country, as the UK and European Union (EU) continue to disagree about how to deal with the Irish border after Brexit. 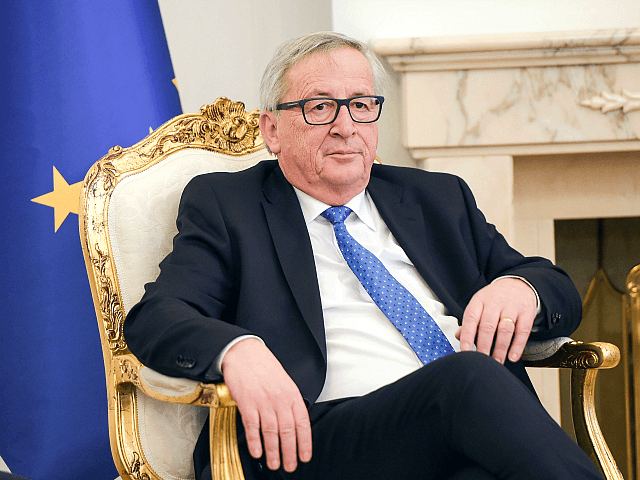 Mr. Juncker is well known to enjoy a drink, and when he addressed politicians he felt the need to stress his walking had been affected by a back problem instead of alcohol. “Mr Speaker, Taoiseach and other members, I have some difficulties walking. I’m not drunk, I have sciatica. I’d prefer to be drunk,” he said. He also raised the prospect of a “no deal” Brexit. “As the clock ticks down we must prepare for every eventuality, including a no deal,” he said. The European Commission is currently demanding the UK sign up to a Brexit “backstop” where Northern Ireland will stay inside the EU’s Single Market and Customs Union, and be separated from the UK by a sea border until a way of keeping the Irish border open is found. However, a source told The Telegraph the British cabinet is united in its rejection of the plan. “I know of no member of the Cabinet in London who would be prepared to sign up to the Commission text. And I include the most ardent of Remainers in that,” the senior Cabinet source said. “This is not a bilateral question between Ireland the United Kingdom – this is an issue between the UK and the European Union. “We want to make it clear again and again that Ireland is not alone. We have Ireland backed by 26 member states and the Commission – this will not change.